New Grocery Store - The oddly named Douglas family page that never gets worked on. This is a home page for David, Zoe and Kai Douglas. The web URL was a leftover from a project David did in the dot.com runup. It has been used for family purposes ever since (but not much). There is some notion that this will all be updated eventually to have nice content related to our family. Don't hold your breath. The image above goes back to forays in the fashion business. 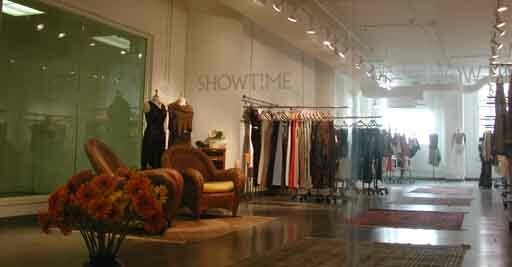 It's of our former Los Angeles contemporary wonman's showroom for wholesale purchasers. For those of you who remember, that's been a long time indeed.